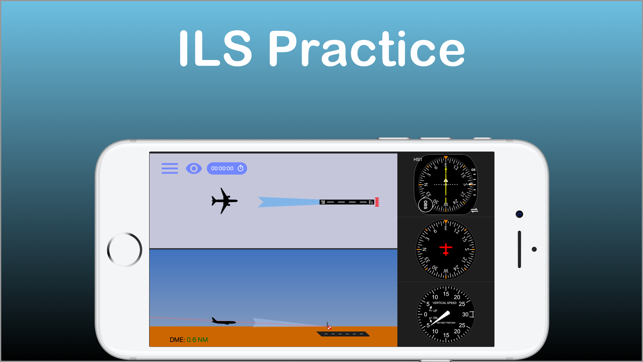 Make IFR flight training easier! 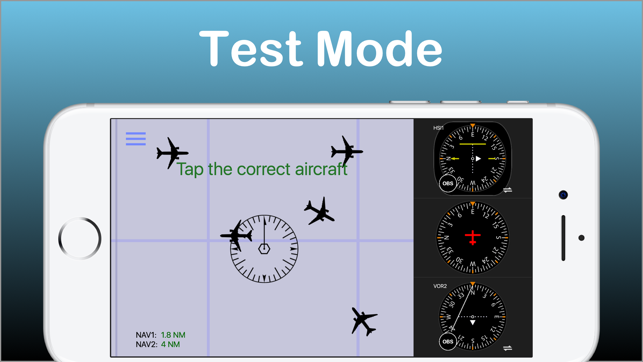 Practice the use of aviation navigational equipment on your mobile device. 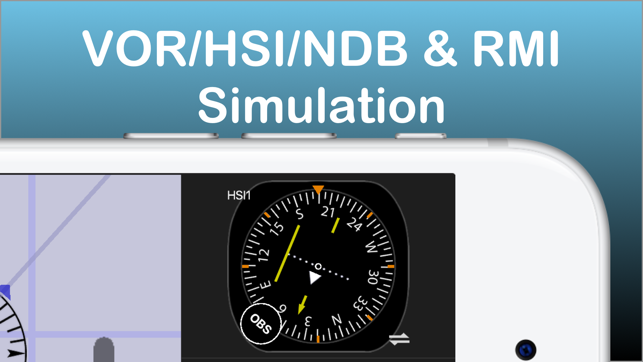 Simulates VOR, HSI, RMI, ADF, DME and ILS navigation. A must have tool for any CFII, student and instrument pilot! 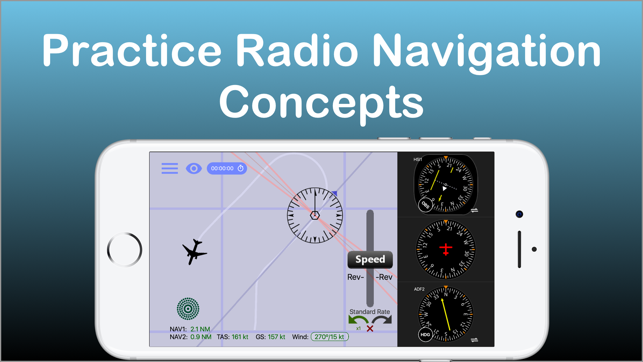 -Students and pilots: improve your understanding of radio instrument navigation at the comfort of your own mobile device. -Instructors: demonstrate complex IFR concepts to your students from bird's-eye view while on the ground. -Also suitable for flight simulator enthusiasts. Used in classrooms, one-on-one ground sessions and by individuals to improve their IFR orientation skills. ***** Great to study instruments and saves lots of $$$!!!" "***** I have been looking for an app such as this to teach my students"
"***** Before I used this app all this VOR orientation was so complicated, and now it's clear as ice!" 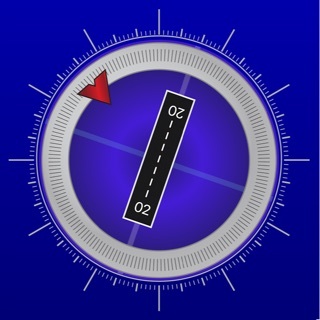 "***** Easy to use, perfectly designed and helping to understand basic navigation stuff. Highly recommended for student pilots, instrument applicant and CFI's." 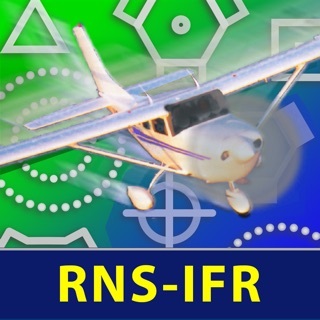 - Improve your situational awareness under IFR. - Save time and money on your instrument and initial flight training. - Prepare for your instrument rating or proficiency check. - Test your NAV situational awareness with the test mode. - Flight instructors: the perfect tool to help you easily explain and demonstrate complex radio navigation concepts to your students. -VOR\NDB trainer screen: Simulates VOR and NDB navigation using VOR, HSI, ADF and RMI displays. -ILS trainer with both VOR and HSI displays. 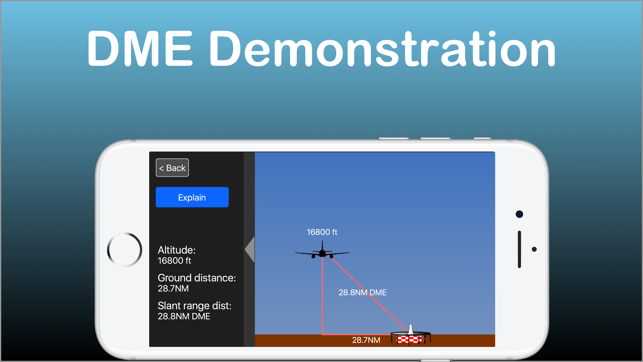 -DME visualization screen - demonstrates how DME slant range distance is affected by ground distance and altitude. -Test mode - generates phantom aircraft around the navaids. Your goal is to find the correct aircraft position. -Drag and drop the aircraft and nav fix around the screen. -Fly! mode - Make the airplane fly around the screen. great for practicing intercepting and tracking courses. -Wind direction & velocity control. -Accelerator support for aircraft control. 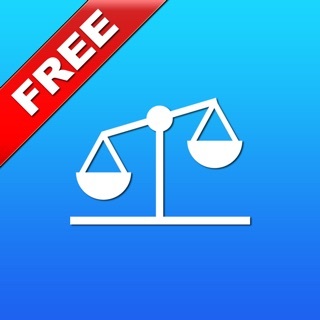 -Select the various instruments by double-tapping their dials. -Toggle VOR sectors visualization on/off. -Auto tune OBS by pressing the OBS knob. -Change aircraft headings by flicking your finger over the heading indicator. -Tune the OBS by dragging your finger around the HSI/VOR displays or over the OBS knob. Well put together; really gives good visual interpretation of what your nav indicators are showing you, including wind effects. Only suggestion would be to make OBS and DG a little less sensitive so that changes could be more precisely set. Test feature is great - really makes you think about what you're seeing on the DG & OBS. About to get an iPad; hope this is set up to run on the iPad, too, with a larger display. 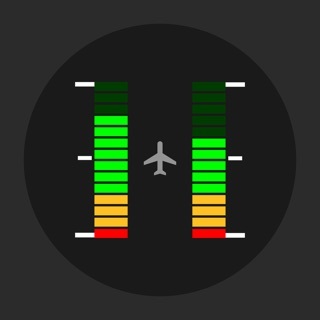 This app is simple yet does an excellent job of helping you visualize the relationship between what the gauges show and the plane's actual position. I agree-OBS scrolling could stand to be a little less sensitive. 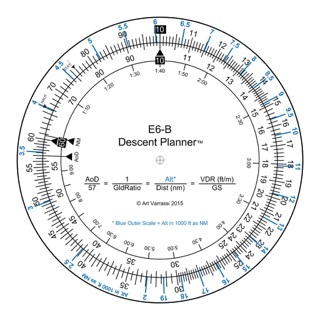 Useful tool for ground school. This app is the best i ever used. It is very user friendly, helps you understand and create navigation scenarios and even use it to demonstrate and explain about the navigation instruments to your student !